Kalatmak Designs is an artistic body with Visionary to bring creativity and innovation around us, to the air we breathe. We proudly cherish a three years journey, starting from establishing a studio in an apartment to our own office. Based out of Vadodara, Gujarat our range of work spreads in art, design and technology, which leads us to be a bridge of innovative works. At Kalatmak Designs, we also look into the gaps and needs in the field of art and designs. We encourage R&D through the process and we thrive to bring out the best. The most loved and cherished segment from Kalatmak designs is tyre art which expresses our passion for working towards making an eco-friendly environment, and saving our mother earth form pollution and give a facelift to monotonous tyres. Though the process of producing tyre planters includes a lot of muscle works, but to see the scrap transformed into exotic bird is no less then priceless visual treat. Our objects are perhaps to bring Mother Nature closer to humans, making our surrounding more colorful, cheerful and lively. Kalatmak Designs takes ahead from here and provides an endless services and support to our clients ranging from sculpture, painting, interior décor, graphics, life style, product development, space design and concept development. We are a bunch of balloons always set to fly in sky. Collecting the diversity from vivid fields we are sculptors, art Historians, graphic designers, product designers, Painters, engineers and textile designers. Hi Friends, Warm greetings to all. 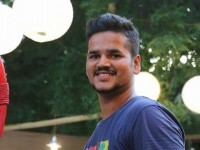 This is Kunal, an Artist from Fine Arts, Baroda. Presently I am running a brand named "KALATMAK", under which I am showcasing my designs. Up-cycling of Scrap tyres into Beautiful and Vibrant planters & pot hangers etc. is what i am doing, this not only for me is making creative products, but also taking a Eco friendly step to reuse Waste Tyres. I hope you all will like our works and will plan to "Design your world with our creativity." Thank you, Have a nice day. once the order is received the packaging and shipment is done within 4-5 days and is expected to be delivered within 6-8 working days depending geographical allocation. No refund or cancellation. In case damaged product or different product delivered, it has to be informed within 24 hours after delivery. If the complaint is valid we will provide another similar product shipped to customer. Note: Change in Color shades or Slight change in pattern or shape from image uploaded on website is not considered as damage or defected, since all are individually up-cycled and are handcrafted.